Jadhav's family would be immediately travelling back to India via Oman. They will travel to Muscat on Oman Air and then will board Air India flight to New Delhi, Dawn news reported. YouTube screen grab of Kulbhushan Jadhav. 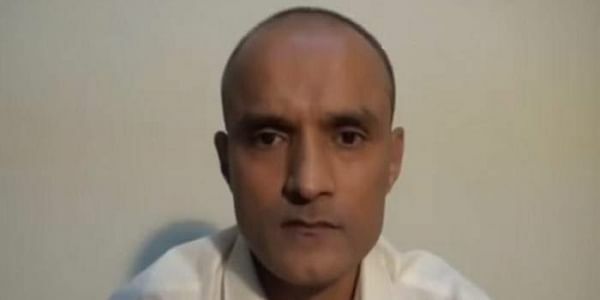 ISLAMABAD: Indian death row prisoner Kulbhushan Jadhav's family would be travelling immediately back to India in the evening after spending barely seven hours in the country, according to a media report. Jadhav's wife and mother arrived in Islamabad via Dubai. They would be spending around seven hours in the country before returning to India. There are very few non-stop flights from Islamabad to New Delhi with fastest one-stop flight between Islamabad and New Delhi taking close to 10 hours. The Oman Air flight is scheduled to depart at 6.15 pm from Islamabad to Muscat, according to Islamabad airport authorities. According to Oman airport website, flight AI-974 is scheduled to depart for Delhi at 23.10 from Oman.